"These types of partnerships are a critical step for Humana in California as we look to create a system that works in a more coordinated way"
IRVINE, Calif.--(BUSINESS WIRE)--Improved health and more coordinated care for Humana’s Medicare Advantage (MA) members in Southern California is the goal behind a new fully accountable relationship between Humana Inc. (NYSE: HUM) and its provider partners, Greater Newport Physicians and Edinger Medical Group. The new relationship expands on Humana’s current partnership with MemorialCare Health System which features more than 145 primary care physicians through MemorialCare Medical Group. The partnership now also includes Greater Newport Physicians and Edinger Medical Group. The partnership is based on a shared vision to provide evidence-based, highly-integrated care leading to improved medical outcomes, better patient experiences and lower costs. Through Greater Newport Physicians and Edinger Medical Group Humana’s Medicare Advantage members will have in-network access to MemorialCare Health System facilities, including Long Beach Memorial Medical Center, Community Hospital Long Beach, Orange Coast Memorial Medical Center, and Saddleback Memorial Medical Center in Laguna Hills and San Clemente. The new effort will focus on coordinated care with an increased emphasis on preventive services for Humana Medicare Advantage members in Orange County and the Long Beach region. Greater Newport Physicians is celebrating its 30th year of providing care to residents throughout Orange County and has expanded to approximately 900 primary care and specialty physicians in the group. Edinger Medical Group, an affiliate of Greater Newport Physicians, has been serving patients in Fountain Valley and Huntington Beach for 45 years. Humana aims to work closely with doctors and hospitals through its Accountable Care Continuum. The continuum is a stepped approach to pay-for-value reimbursements that allows the company to implement different value-based partnerships with hospitals and doctors based on their infrastructure and value-based reimbursement capabilities. The new Humana offering through Greater Newport Physicians and Edinger Medical Group will include more personalized care and a broad range of population health management tools like predictive analytics and chronic care, disease management and wellness programs. The value-based arrangement emphasizes quality outcomes with a focus on care coordination and leverages measures as defined by the National Committee for Quality Assurance (NCQA) Healthcare Effectiveness Data and Information Set (HEDIS) like diabetes care and treatment, breast cancer screenings, colorectal cancer screenings and high-risk medication. Humana has a 26-year accountable care relationship history with more 1.2 million MA members that are cared for by 38,000 primary care physicians, in more than 900 accountable care relationships across 43 states and Puerto Rico. 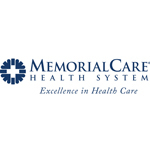 MemorialCare Health System, a not-for-profit Southern California integrated delivery system and pioneer in evidence-based medicine, has 200 care sites, 11,400 employees, 2,600 affiliated physicians; six hospitals—Long Beach Memorial Medical Center, Miller Children’s and Women’s Hospital Long Beach, Community Hospital Long Beach, Orange Coast Memorial Medical Center in Fountain Valley and Saddleback Memorial Medical Center in Laguna Hills and San Clemente; MemorialCare Medical Group; Greater Newport Physicians (GNP); Seaside Health Plan; ambulatory surgery centers; and imaging, outpatient and urgent care facilities. MemorialCare is listed among 35 employers globally receiving the prestigious Gallup Great Workplace Award. Greater Newport Physicians, an affiliate of MemorialCare Health System, was created in 1985 to improve care for the community. Its 900 physicians serve more than 100,000 Orange County residents. The multi-specialty Independent Practice Association has more than 200 primary care physicians plus a network of 700 physicians representing over 50 specialties. A leader and innovator in Electronic Medical Records solutions, GNP is the only Independent Physician Association in Orange County to receive the Medicare Five Star rating by Integrated Health Association and has also been recognized as the highest 4-Star Elite status level by California Association of Physician Groups’ for achievements in quality of care, patient satisfaction, care coordination and health information technology as well as. Edinger Medical Group has been caring for Orange County patients for over 45 years with offices in Fountain Valley and Huntington Beach, California. Specializing in Internal Medicine, Pediatrics and Family Practice, the physicians are dedicated to providing outstanding, comprehensive health care to patients of all ages. Throughout its history, Edinger Medical Group has been recognized for outstanding patient care and patient satisfaction. Most recently, Edinger Medical Group was ranked the number one private medical group in Orange County for the fifth year in a row and was the highest rated group for clinical quality of care, when compared to 228 other medical groups throughout the state.